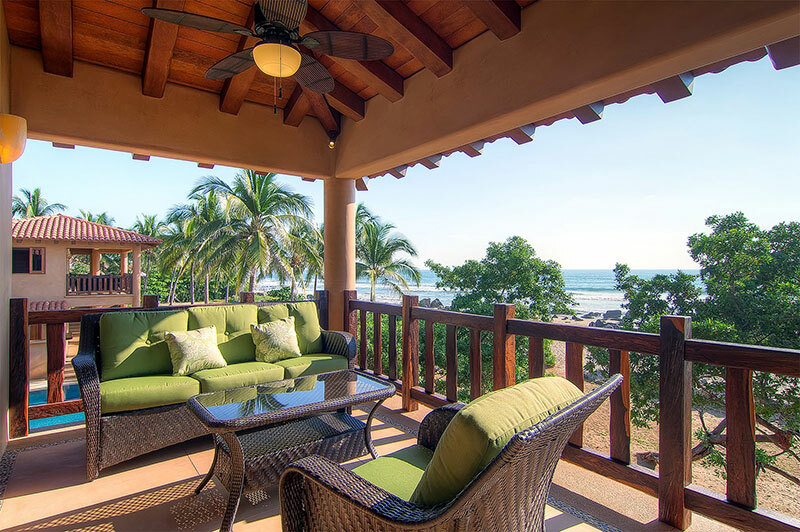 The Villas on Troncones beach is a luxury waterfront property with an open air yoga deck, salt water infinity pool, great surfing and other outdoor activities, immersed in a true local Mexican culture. There is a beautiful three mile stretch of golden beach, great for walking, running, body surfing and exploring. Troncones is a small community 25 minutes north of Zihuatanejo Mexico which has a small and charming international airport. Troncones has a few small tienda’s (shops), beachfront restaurants, small hotels, B&B’s, and a variety of retreats from surfing to yoga. 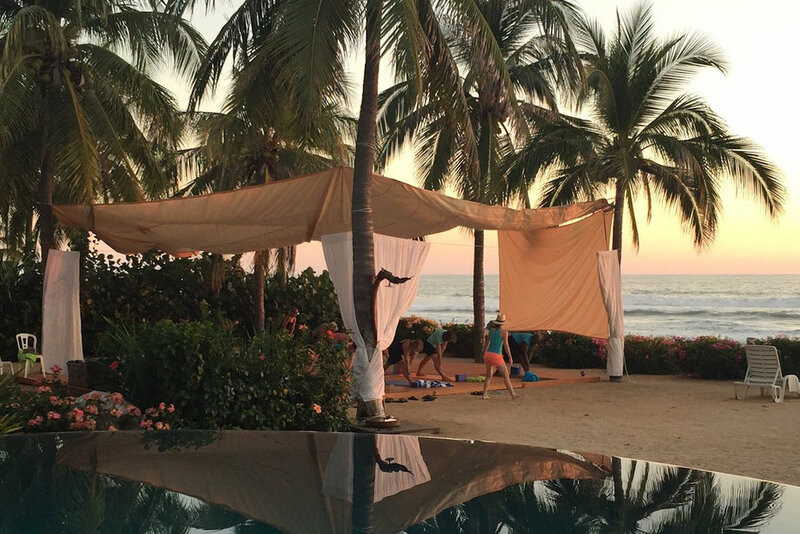 Troncones surfing is considered some of the best in Mexico. There are incredible beach breaks on the 5 km of beach in Troncones, a fantastic left point at Manzanillo Bay 3 km north of the town center. Saladita (10 km north) and The Ranch (20 km north) make Troncones a year round surfing destination. The coast is also known for some of the best Mexican sport fishing in Mexico with world class Marlin and Sailfish. Troncones beach also enjoys hillsides stretching down to the ocean and large scenic mountain ranges in the distance making for a beautiful landscape. Cheryl Deer, ERYT 500, Forrest Yoga Guardian, has taught yoga since 1996. Cheryl’s classes and workshops are joyful and motivating, designed to leave you awakened and inspired. Expect to receive gentle yet powerful adjustments, connect to your core and engage in your practice in a way that brings greater presence, healing and transformation. Cheryl’s teaching is deeply rooted in the Forrest Yoga philosophy; an approach designed to address the stresses and challenges of our daily lives and support our journey toward physical, emotional and spiritual wellbeing. In addition to teaching classes, privates, workshops and teacher trainings in Denver, Cheryl also spends time each year assisting her teacher Ana Forrest, creatrix of Forrest Yoga. She draws on her knowledge from Ana and her many years of experience to teach how to bring Spirit into life. Our food will be prepared by a gourmet chef in the Villa’s outdoor kitchen area and include Brunch and Dinner. All meals will include vegetarian and meat protein options and will be gluten free with traditional breads and pastries for those who do not have dietary restrictions. There’s a little grocery store called Commercial in Zewateneo we can stop at on our way to the Villas if we want snacks, chips, drinks, breads, etc. There is also a food truck w/great veggies and fruits that stops each day by the Villas. Each Villa has a fridge so we can easily buy fresh food every day if needed. All meals will include vegetarian and meat protein options and will be gluten free with traditional breads and pastries for those who do not have dietary restrictions. Any other special requests and needs should be submitted prior to the start of the event and will be met based on availability of local ingredients. Space is limited to 30 students. See photos of accommodations below. We will be in various villas, so if you want to share a villa with friends, please let us know in registration and we will be in touch with you with more details. Air travel and additional activities are not included in the above pricing. $500 deposit is required to save your spot. If you have to cancel for any reason, please read terms and conditions for more information. There is a surf break right in front of our hotel and many other places to surf nearby! There are great waves for all levels. Surf lessons are optional for $50 per person which includes a lesson and a board rental. Save the turtles - We have the opportunity to release baby turtles back into the ocean! Fill out the registration form : Please fill out the form below so we have all necessary information for you to join the retreat. Choose your payment method : Once you pay the minimum of your deposit, you will be registered. If you are having trouble with this registration form or any part of the registration progress, please email admin@cheryldeeryoga.com for help. Roommate if in double room I have a roommate I want to share with I do not have a roommate, please pair me. 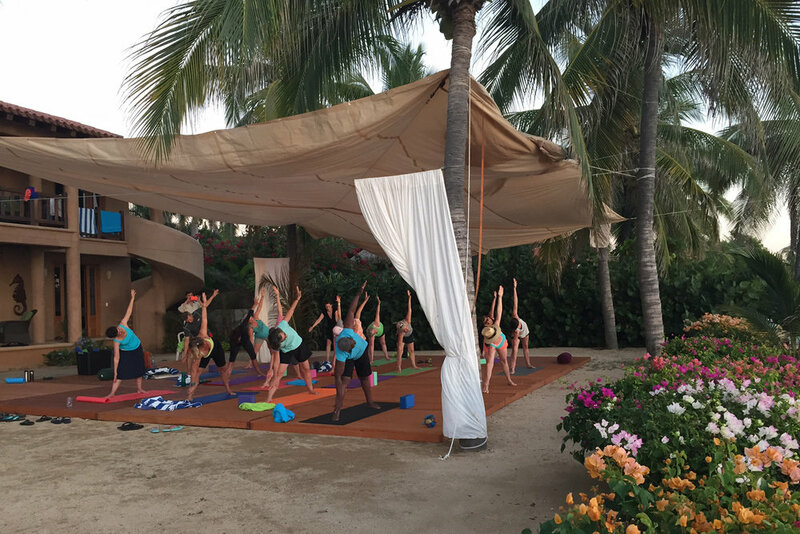 Yoga Experience * New to Yoga Some experience Lots of experience On a yoga mat my whole life! What is your main intention for going on this retreat? CREDIT CARD: Use the add to cart feature below.